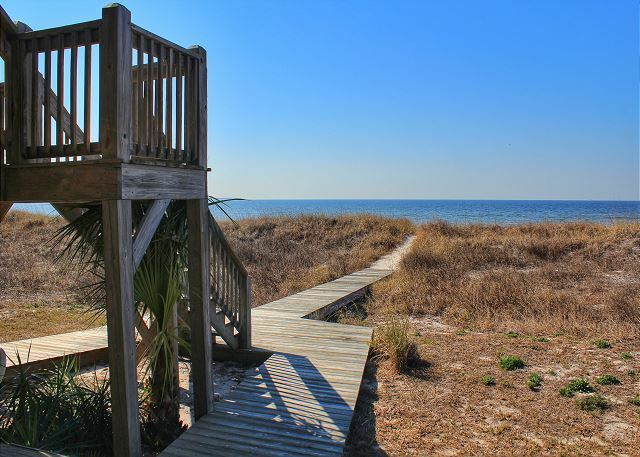 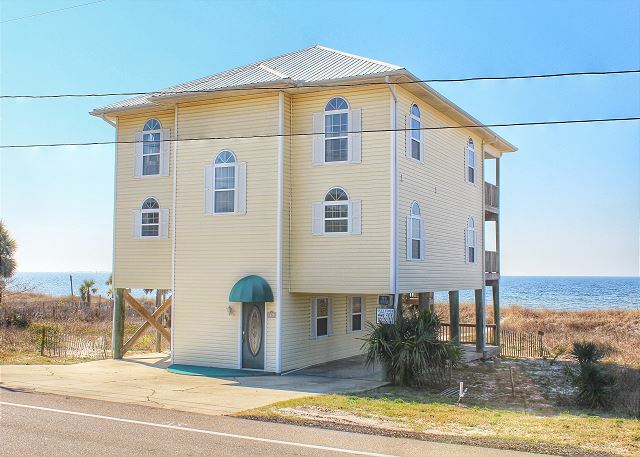 This premier gulf front home is located on the sugar white sands of St. Joe beach along florida's forgotten coast and just minutes away from Mexico Beach. 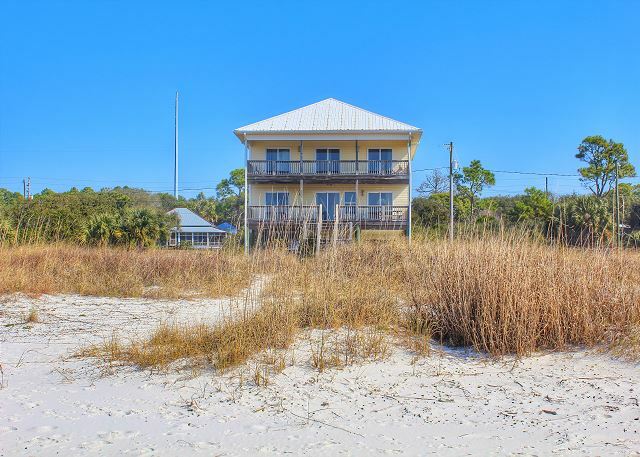 Enjoy the emerald green waters and true west sunsets from the comfort of this home on the most beautiful beaches in the world. 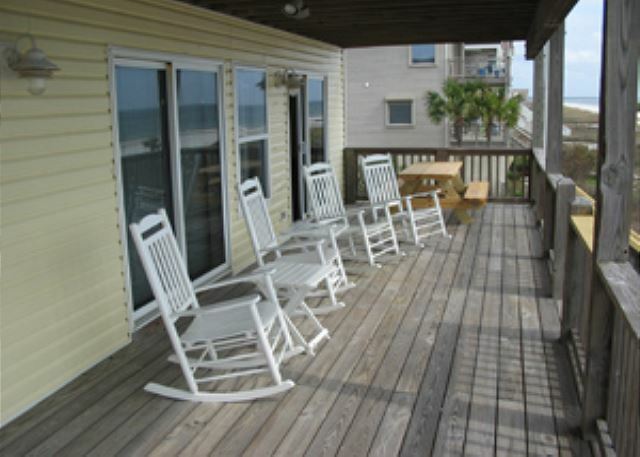 On the spacious ground level, you will find plenty of extra storage for all your beach supplies, toys, fishing equipment, and access to the ground level patio; which is a cool breezy spot for some great afternoon barbecues. 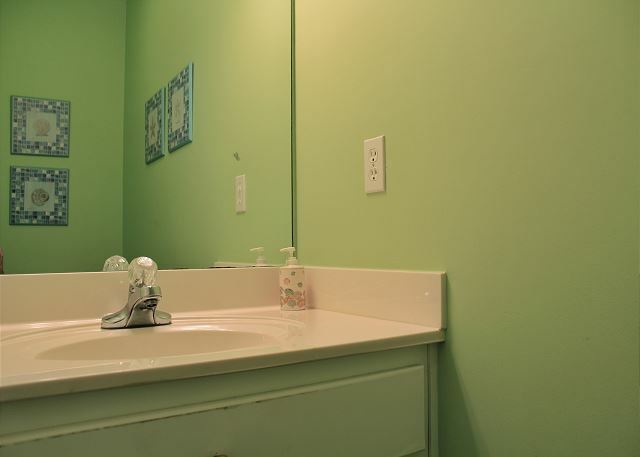 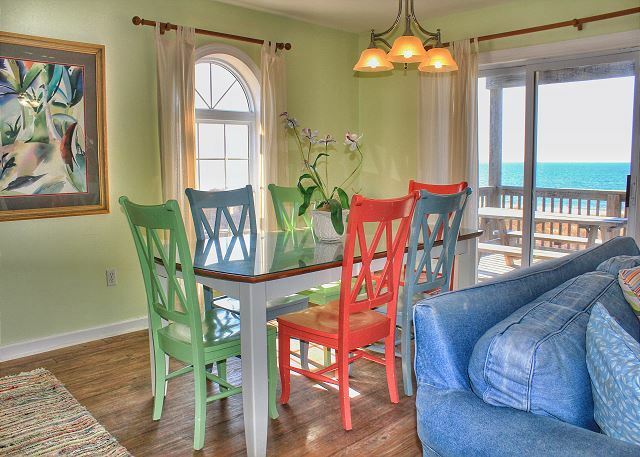 The kitchen, dining, living and master bedroom are located on the first level overlooking the gulf, where sightings of dolphins frolicking in the emerald green waters are common. 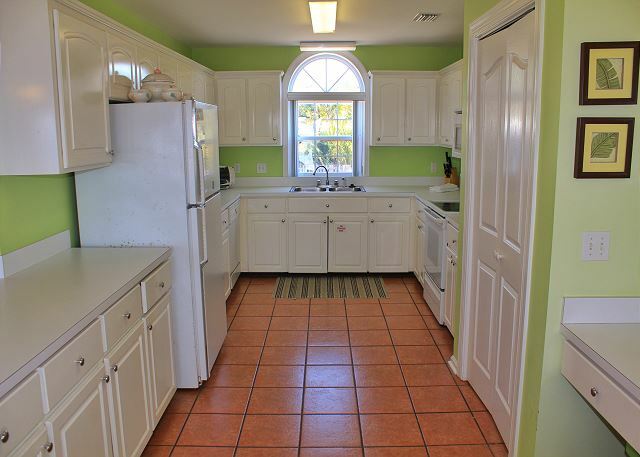 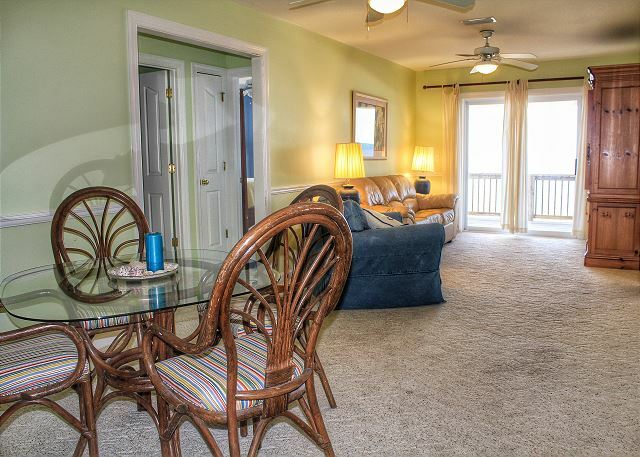 The kitchen is fully equipped with all the amenities of home including a bar which offers additional seating, the dining area opens on to the beach front deck, and the living area is comfortably furnished with two sitting areas. 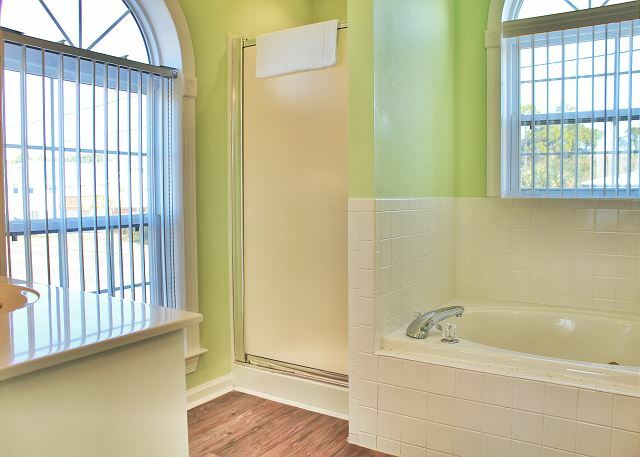 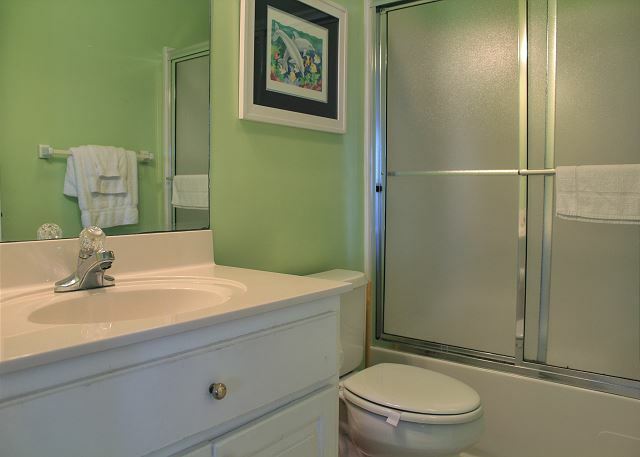 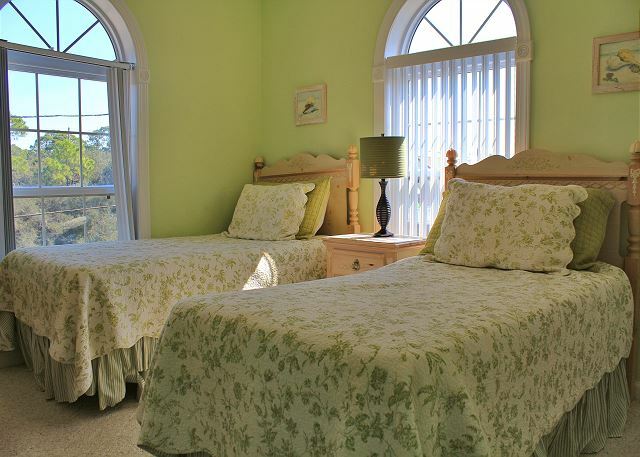 Next to the living area is the king size master suite with a large bath that has a separate over-sized garden tub and shower. 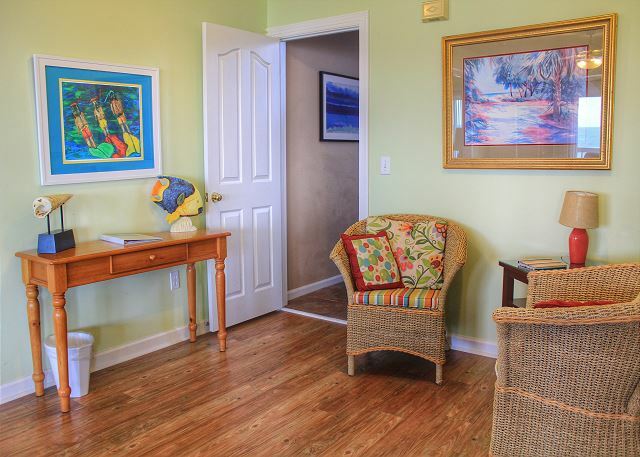 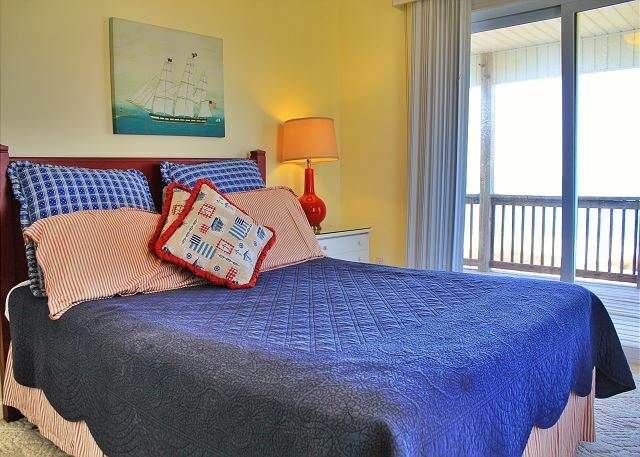 The master suite opens on to the gulf front deck and is a nice spot to enjoy early morning coffee or late afternoon glass of wine while taking in the beautiful true west sunsets. 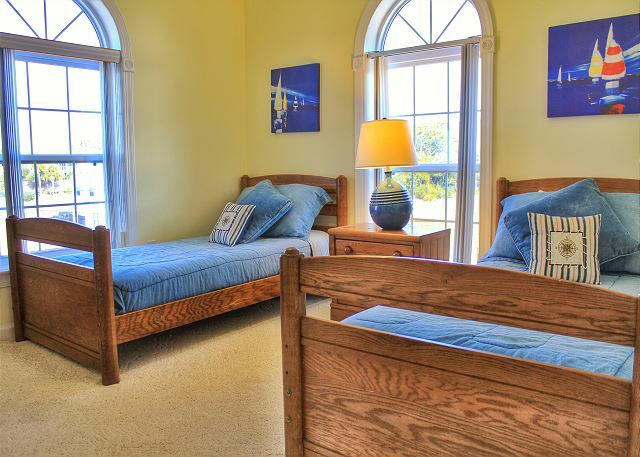 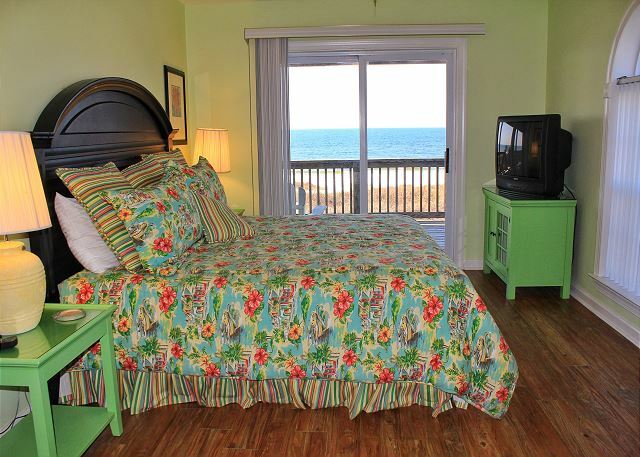 Upstairs on the second level are two gulf front queen bedrooms which open to the beach front deck. 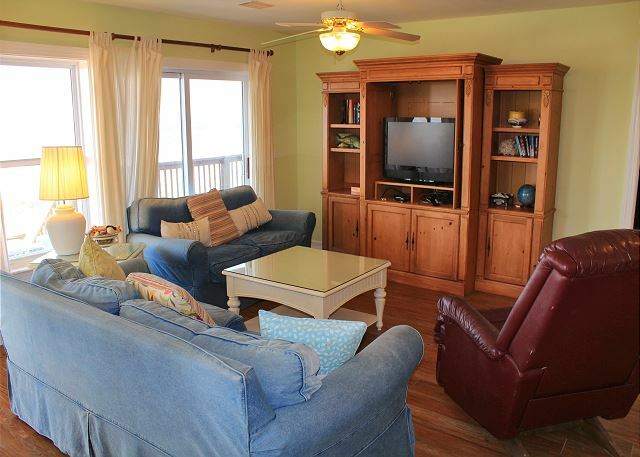 They share a bath with twin bedrooms directly behind them, and a large living area provides a table and chairs for games on the land side, and comfortable sitting for tv or viewing movies on the beach side. 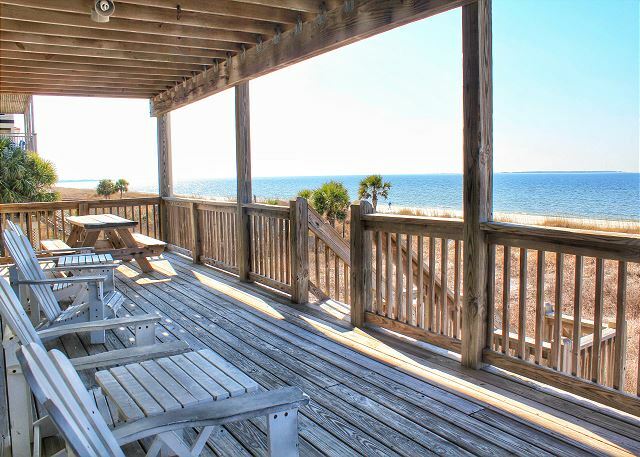 You will enjoy fantastic 180 degree views from the two beach front decks which are furnished for outdoor dining and relaxing, and be able to watch the children on the beach from the shade and comfort of the decks. 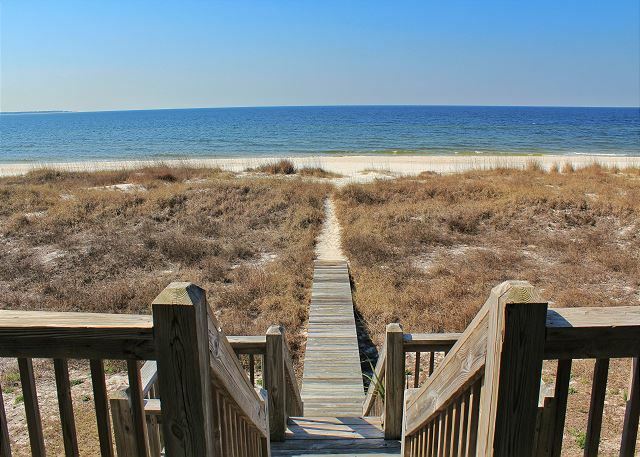 Also, beach access is easy via the private board walk.